This guide will run through each of the above. A carefully thought through selection process will help ensure your switch functions within your application for many years. How does a float switch work? 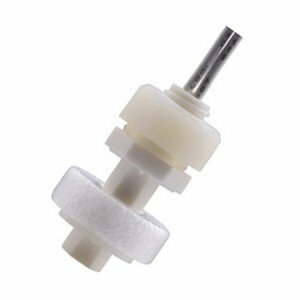 The products supplied by Alan Butcher Components are the magnetic float variety. 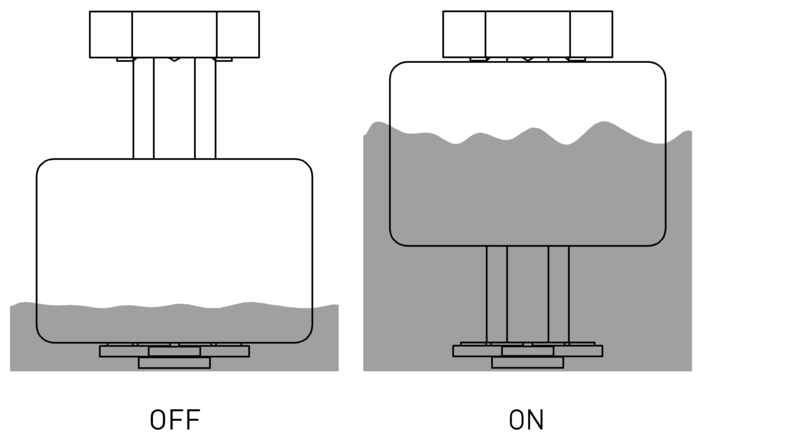 Firstly, it is important to understand how a magnetic float switch works. 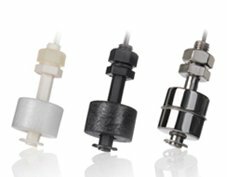 Also known as liquid level sensors, these products contain a hermetically sealed reed switch within a stem. An external float, with a magnet inside, passes over and activates the reed switch as the liquid level moves up and down. This is shown in the below diagram. No power supply is required to operate these switches. When the reed switch is activated it will turn on a low level or high level alarm, indicator light, pump or motor depending on the application. Do you need the switch to turn on when the liquid level reaches a certain point (Form A Normally Open) or do you need the switch to turn off (Form B Normally Closed)? The majority of products we sell are contact form A.
Identifying where your level sensor will be positioned within your application is important. It will also determine whether you need a vertical or side mounting/horizontal float switch. 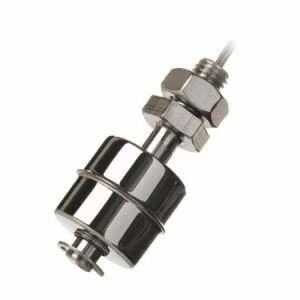 When selecting the float switch it is essential to establish the type of fluid the level sensor will be required to operate in. Our products are available in Polypropylene, Polyamide and Stainless Steel materials. It is strongly advised that a sample switch is tested for suitability during the early stages of the design phase, as the incorrect material choice may lead to product failure. Liquids that build up deposits on the float or stem are not suitable for float level sensors as they can interrupt the movement of the float up and down the stem, leading to switch failure. It is important to consider the electrical load of the application. 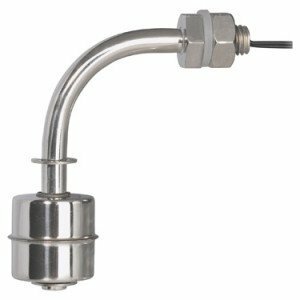 The level sensor may be controlling a large pump or a small piezo buzzer. The switch must be capable of handling the power requirements. The float switches we supply have a rating of either 130VAC/10W or 250VAC/50W. The PLS series of magnetic float switches stocked by Alan Butcher Components have a lead length of 300mm. Should this standard length not be suitable, it is possible for us to supply customised lead lengths. Please call us on 01258 456360 if this is something you require. Furthermore, the wiring may be exposed to the liquid contained with the tank and it is important that the wire material is not adversely affected. Consider the wiring material when selecting your float switch. 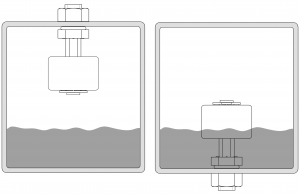 The size of the tank will determine the size of the float switch required. We stock various sizes. 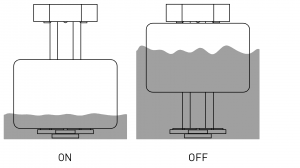 Click on following link to view our range – https://www.abcomponents.co.uk/product-category/switches/float-switch/ The physical arrangement of the tank will influence whether top, bottom or side mounting is necessary. 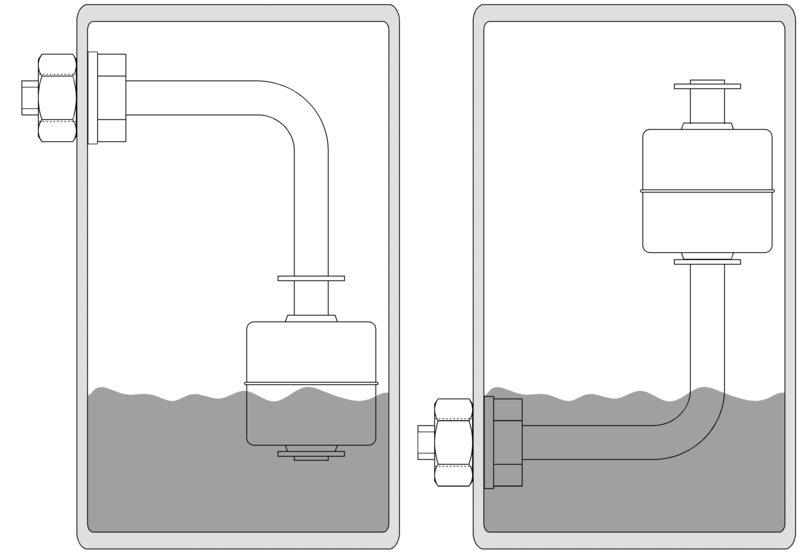 Identifying if there is access to the inside of the tank is also an important consideration. Refrigerators – modern refrigerators with ice cube makers require a water tank. 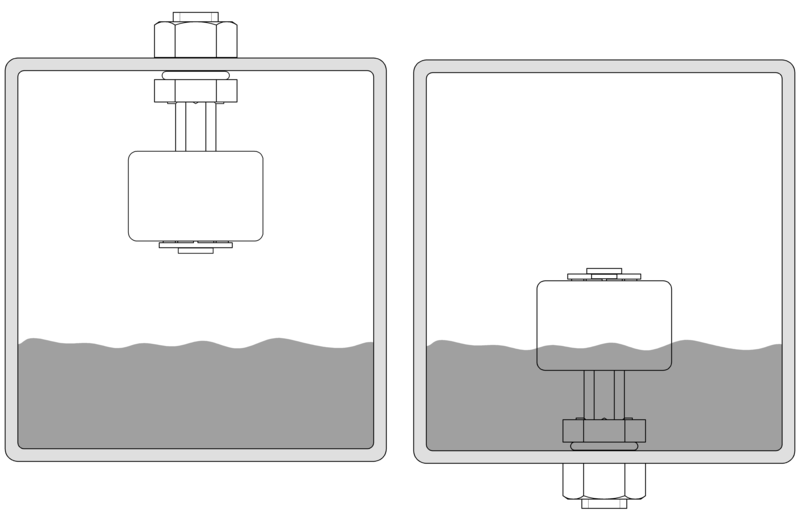 The water level inside the tank can be monitored with a level sensor. If the water level drops below a certain point, a warning will be issued and the machine will stop producing ice cubes. 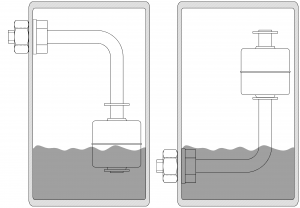 Condenser Tumble Dryers – a float switch or float/sensor combination inside the condenser tank will active a pump when the liquid reaches a certain level. Coffee Machines – these can use a customised float with an integrated magnet. The float sits inside the water tank and if the level drops, the magnet activates a reed sensor located in the machine housing. A signal to re-fill is issued and the machine will stop producing coffee to avoid running dry. Steamers and Steam Cleaners – If the water level drops below a certain point, a warning will be issued and the machine will stop producing steam. In some cases, our customers require a non-standard solution for their application. Our long established relationship with PIC enables us to provide customised products to meet the majority of design needs. We are able to offer the high level of technical expertise and support our customers expect. If you need a customised switch, please send us a drawing or detailed specification and we will do our best to assist.